Welcome to our National Stamping Month Blog Hop! 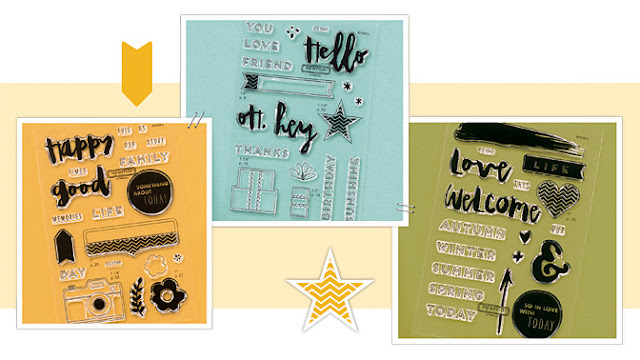 We will be featuring "Hello Life" - a trio of stamps sets. Each stamp set is designed to fit with a specific type of papercrafting, whether that’s traditional scrapbooking, cardmaking, or pocket scrapbooking. However, all the stamp sets coordinate with each other and can be used together to create dynamic artwork. These stamp sets also coordinate with shapes from the new Cricut® Artistry collection to help expand your artwork options even further. If you have come here from Catherine Nowak's blog you are on the right path! The blog hop is a great big circle, so you can start here and work your way all around. If you get lost along the way, you’ll find the complete list of participating consultants on Melinda’s Blog. 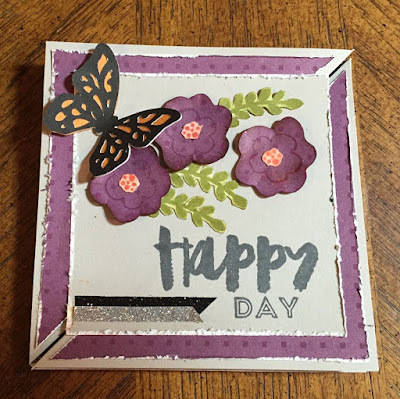 For this blog hop we have approxiamtely 39 Close To My Heart Consultants sharing their creations using this month's promotion and other great CTMH products on their blogs. This is simple to do - just click on the link at the end of the post on each blog to move to the next one! Here we go! I created a diagonal fold card using Evermore paper, Whisper Card Stock and Enchantment Fundamentals (eggplant and goldrush). I also used Stamp sets CC1040 for the flowers, leaves, "Happy" and "Day" &amp used CC1041 for "Hello", "Friend", and the banner stamp. Now "Hop" on over to Michelle Rowley's Blog to see her work! Be sure to visit all the Consultants at their Blogs to get some great crafting ideas and other fun ideas! Remember, this promotion is only available until September 30! 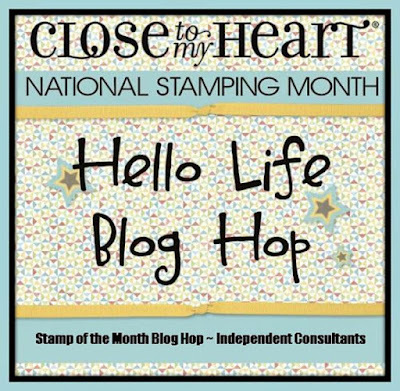 Contact your CTMH Consultant (or click here) to see how you can get these stamp sets at a discount! Pretty card! I love the surprise fancy fold. Cool card! I love the fancy fold! What a wonderful surprise when you open this card. Very pretty! Great card. I love the fancy fold! What a fabulous card, and I love those flowers! Love your work, great card! Unique card. I love the shape and the colors you used.